Type #1 is in C major. Improvise with the scale against this chord progression in C.
Use c major scale to improvise over this chord progression. 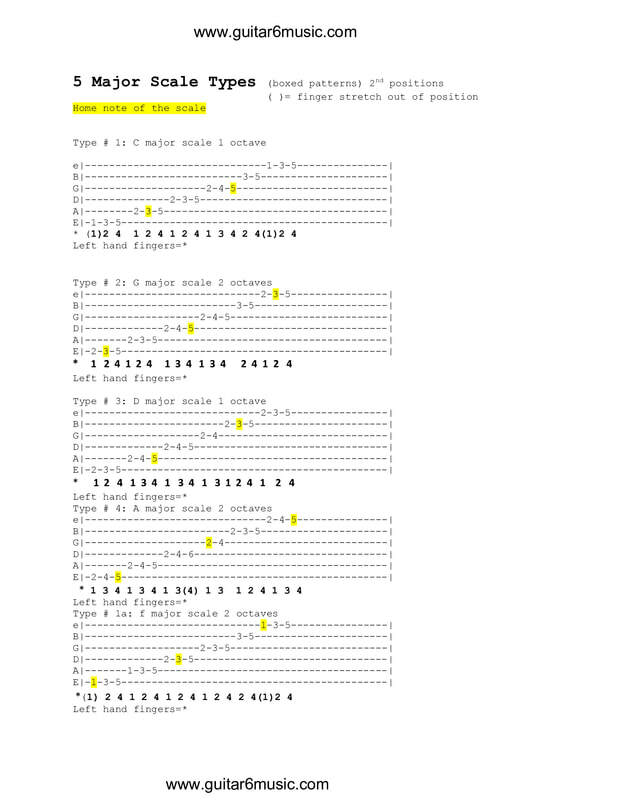 Eg: use c major type #1 or convert all the 5 major types to c major and improvise with all patterns. Practice soloing with the C major scale against the the you tube backing track.